Bass – Joshua DunhamDrums – Cora Coleman DunhamPercussion – Sheila E.
Phonographic Copyright (p) – NPG Records, Inc. Copyright (c) – NPG Records, Inc.
Record Company – Paisley Park Enterprises Inc. Wide spine single sleeve holding 2 LPs in printed full colour inner sleeves. 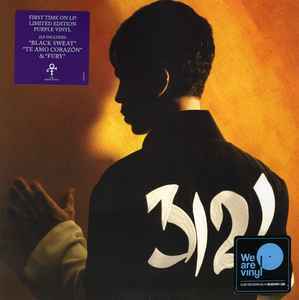 19075910531 (A/B/C/D) ℗ 2006 6 © 2006, 2019 Prince Estate/NPG Records, Inc.
As Switzerland is not part of the EU there may be further taxes/vat/whatever incurred once you're order has arrived within the EU when doing orders. It's pretty obvious that we cannot be held responsible for these but will do our best with customs declarations. Shipping costs are calculated by weight. So when doing multiple orders, please ask first for exact shipping rates to avoid disappointment. Modern Vinyls do have heavier covers and are pressed on 150g to 180g vinyl most of the time, so three new records safely packaged are weighing more than 1000g. A double album almost always is impossible to package and ship under 500g as well. For multiple CD orders there is the possibility to ship without jewel cases (all artwork & cds safely packaged), where applicable. CD boxes that are thicker than 18mm have to be shipped as 1 LP. They are usually indicated "250g+" in the item's description. FOR REGISTERED SHIPPING RATES PLEASE ADD $7.00 TO YOUR RELEVANT PRIORITY SHIPPING RATES. Registered shipping is always priority shipping, no registered economy shippings possible.